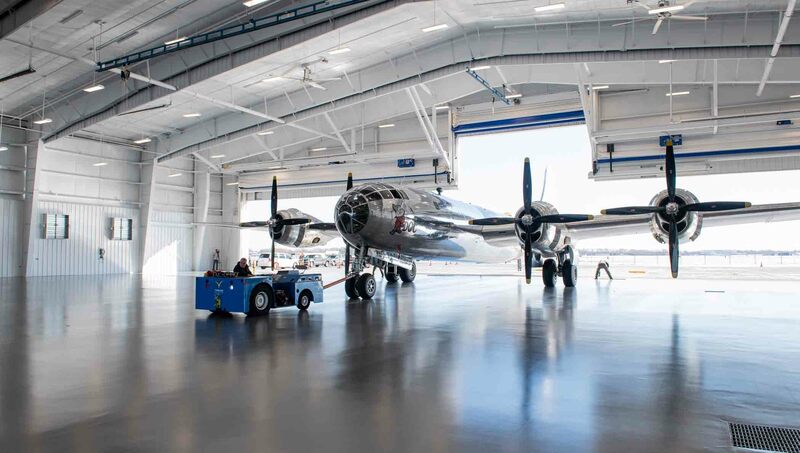 The B-29 Superfortress known as “Doc,” originally built in Wichita in 1944, was parked in its new hangar Tuesday. The new hangar is at Wichita Eisenhower National Airport. Construction on the $6.5 million facility began in November 2017. Volunteers have worked to restore the military aircraft to its former glory over a 16-year span. Doc’s Friends volunteer maintenance crew will begin scheduled winter maintenance for Doc this month. The new hanger and education center is scheduled to open to the public in January. Read more here.